HomeBlogThe new EMB-LR1301-mPCIe 868/915 MHz mini PCI express multichannel LoRaWAN board is coming. The new EMB-LR1301-mPCIe 868/915 MHz mini PCI express multichannel LoRaWAN board is coming. 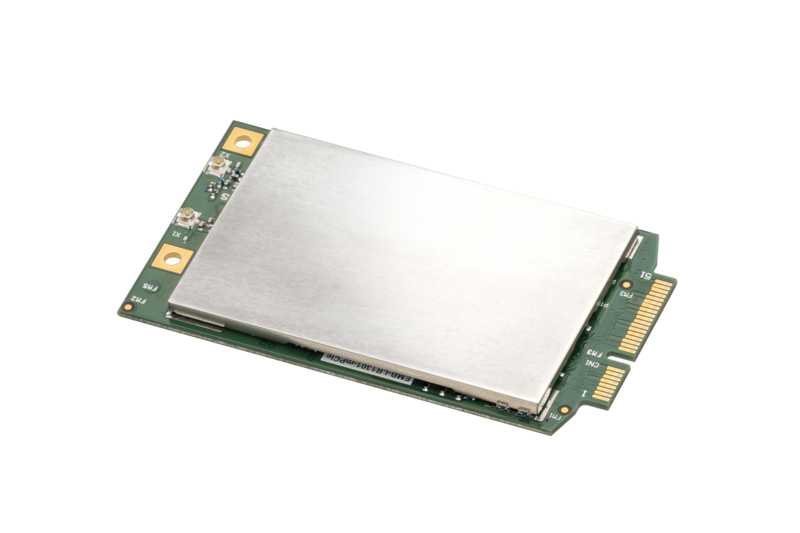 EMB-LR1301-mPCIe offers up to 8 LoRa Channels in the 868MHz (or 915 MHz) frequency allowing it to receive up to 8 LoRa packets simultaneously and it is able to achieve a sensitivity of -137dBm and a RF output of +27dBm making it the ideal device to use in LoRaWAN gateways applications. It includes as well a GPS module. EMB-LR1301-mPCIe has also the Listen Before Talk (LBT) capability giving to the user to share the same channel. When enabled, the device monitors channels continuously and transmit only if the channel is free. It includes as well a GPS module. Please contact our sales representative for more information or visit the EMB-LR1301-mPCIe web page.